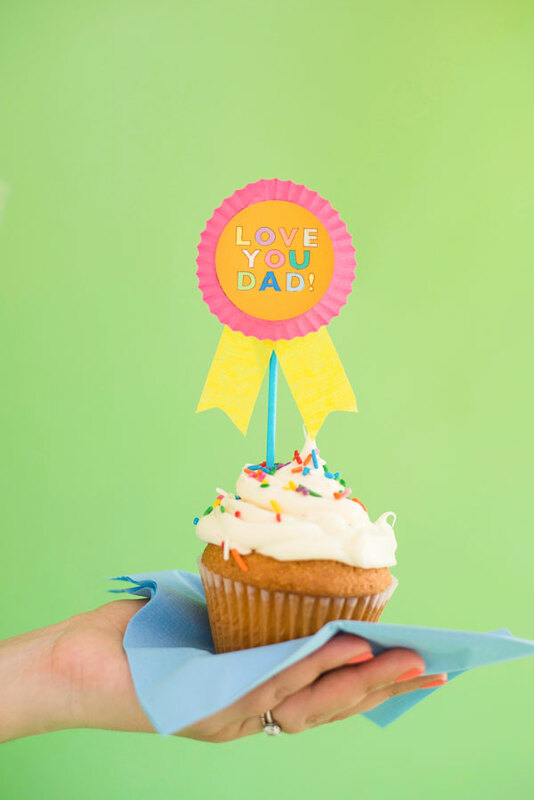 Father’s Day is coming up – let Dad know he’s a real winner with these easy cupcake (or donut, if that’s your dad’s thing) toppers. 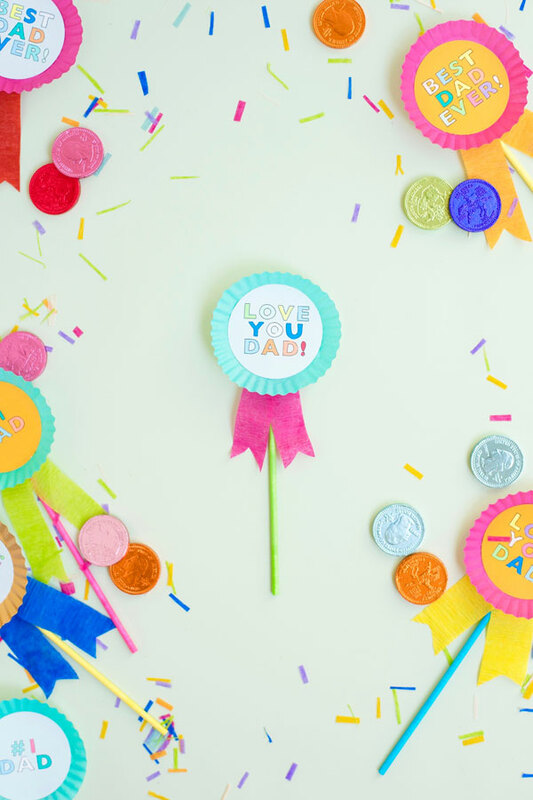 Print out the template for your kids to color and if you don’t have a 2” hole punch, don’t worry! Scissors will get the job done. 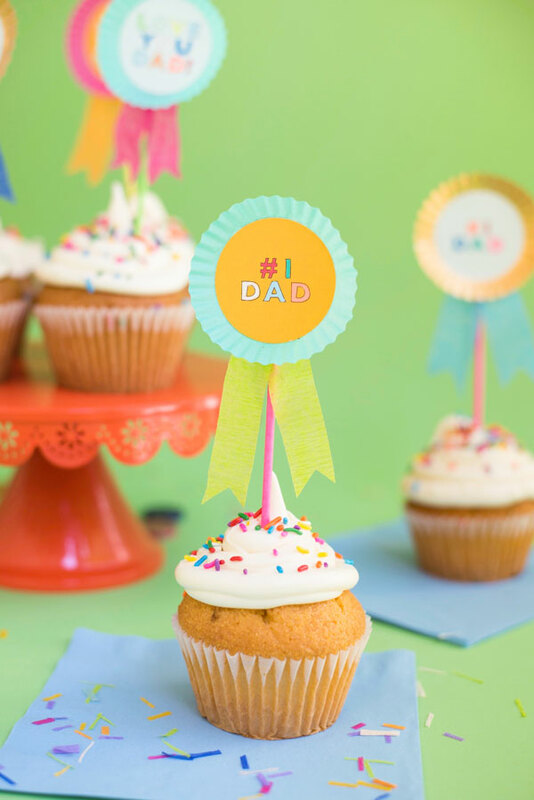 Materials needed: mini cupcake liners in gold and teal (or any other colors you choose), hot glue gun, any colorful streamers, colored cake pop sticks, Father’s Day Medallions Template, colored card stock (not too dark), markers or gel pens, scissors, 2” hole punch (optional). 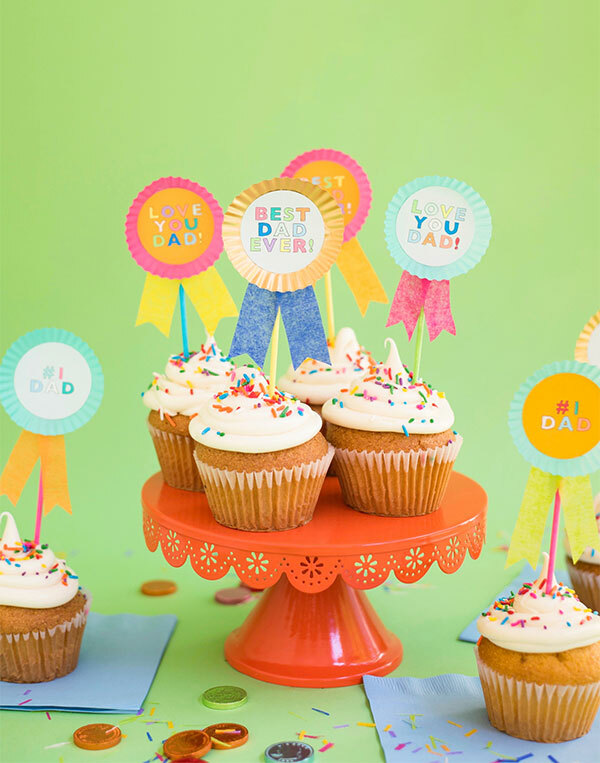 Step 1: Print out the Father’s Day Medallions Template. 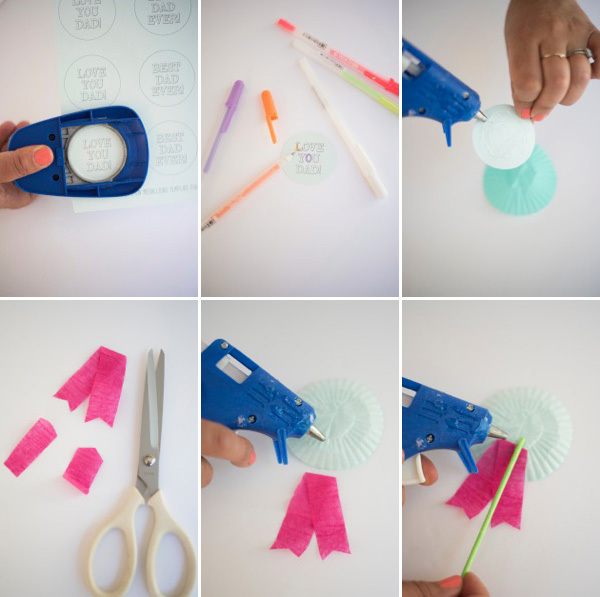 Cut out with a 2” hole punch, or with scissors. 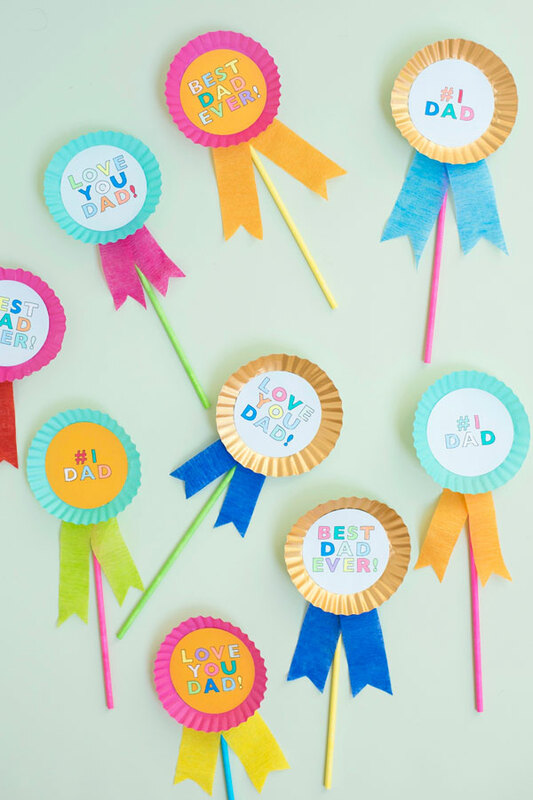 Step 2: Have your kids color in the letters on the medallions. (I found gel pens worked best). Step 3: Flatten a mini cupcake liner. Step 4: Using hot glue, attach the medallion to the liner. 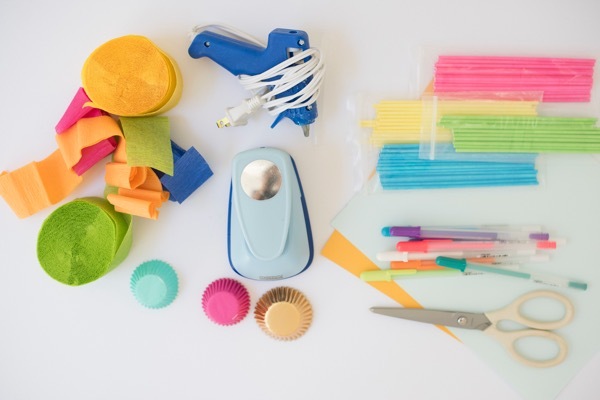 Step 6: Choose a contrasting color cake pop stick and hot glue it to the back of the cupcake liner. I love this! 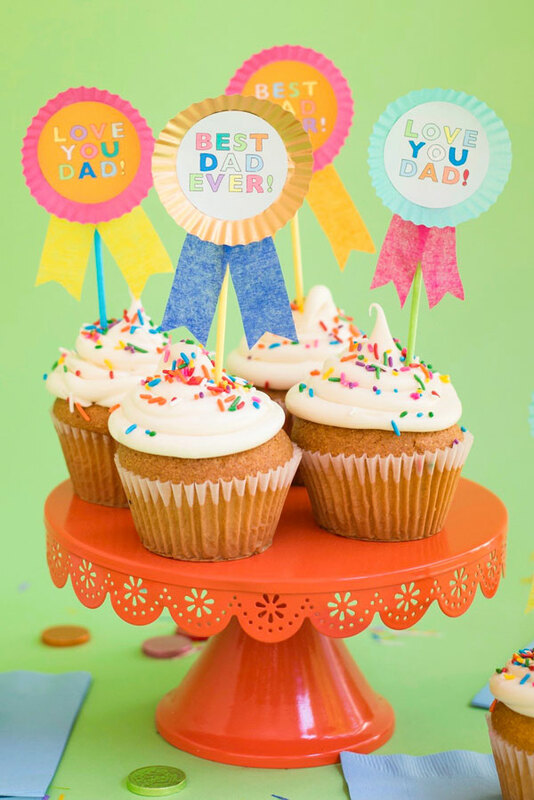 I’m making this for Father’s Day. 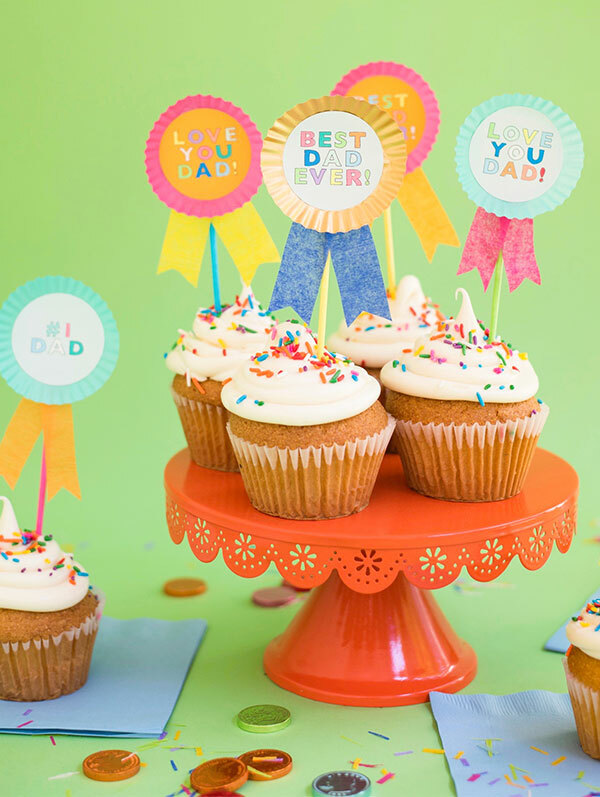 So clever to use cupcake liners for the ruffle… you guys really are the party DIY gurus! !